Good afternoon everyone! I hope you all had a great weekend! 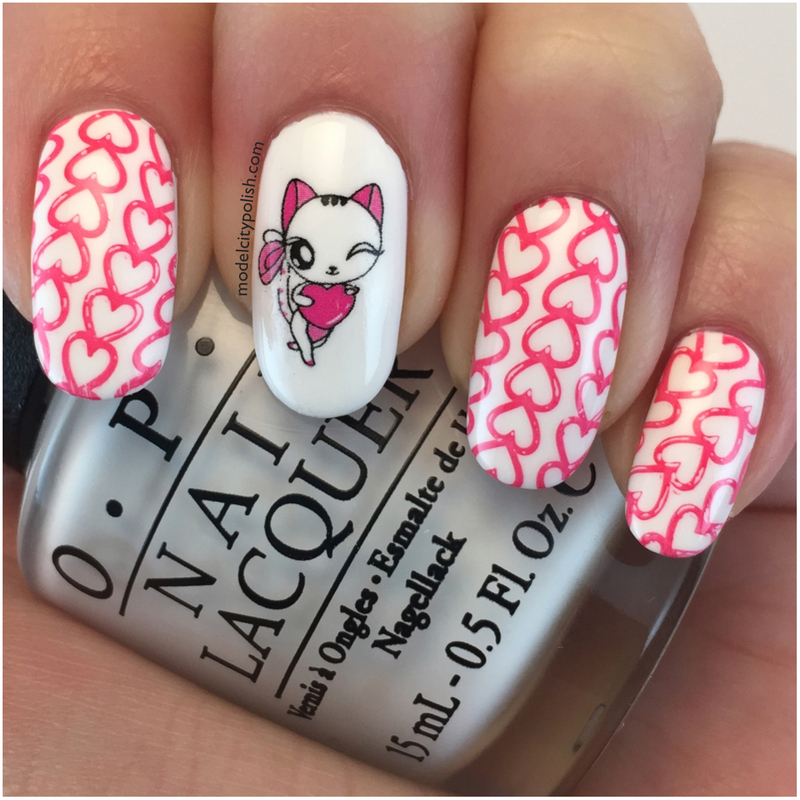 Today I have more cute cat decals from Born Pretty to share with you guys. 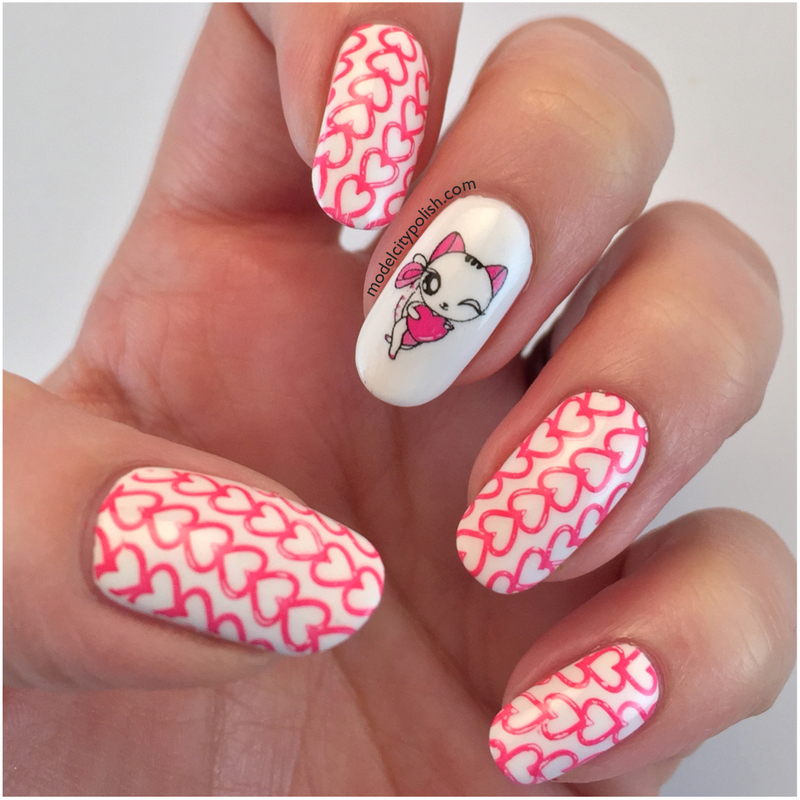 Once again these are water slide decals, my favorites! 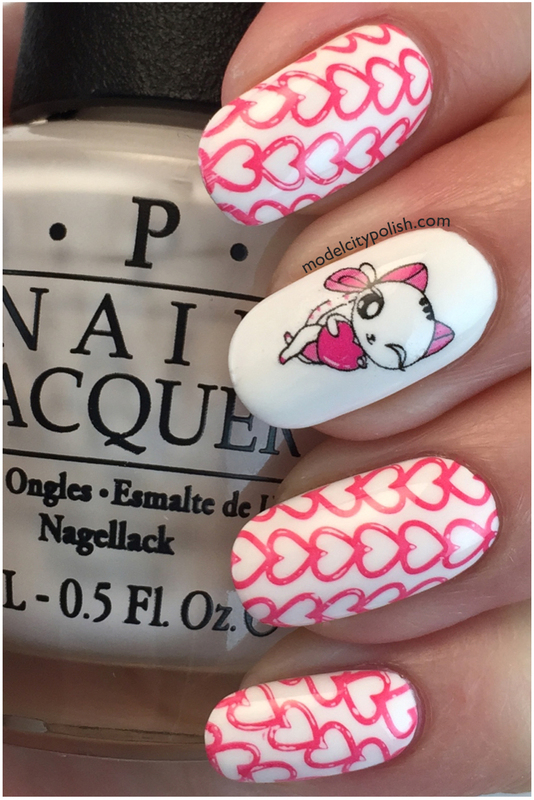 For my cute cat mani I used OPI Alpine Snow, OPI Charged Up Cherry, Pet’la Plate Peacock, and Born Pretty Cute Cat Water Slide Decals. 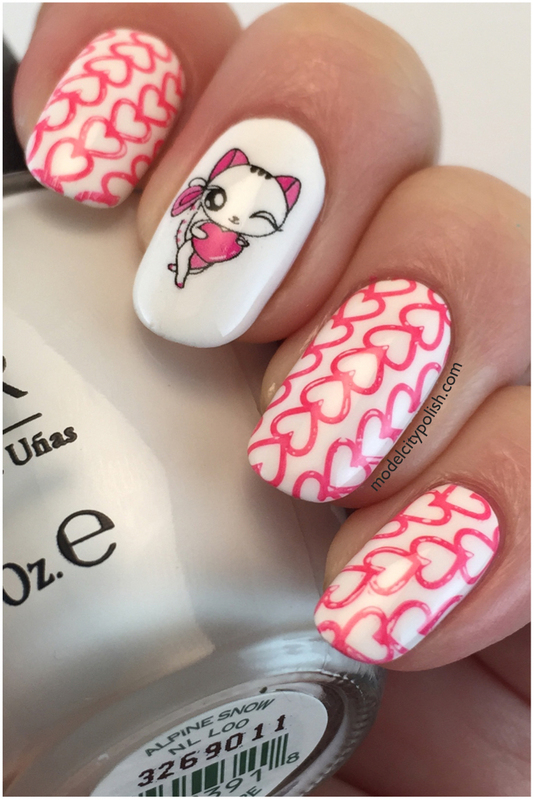 The decals were as always, amazing to work with and super easy to apply. I sealed everything with a good coats of Glisten & Glow HK Girl Fast Dry Top Coat. The decals were sent to me for review purposes but that does not influence my final opinion.